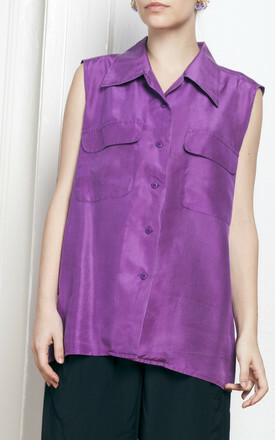 Perfect purple silk blouse from the early 90s. It has a button closure and two pockets. It absolutely stood the test of times: it's still in a flawless condition. Labelled size: M.